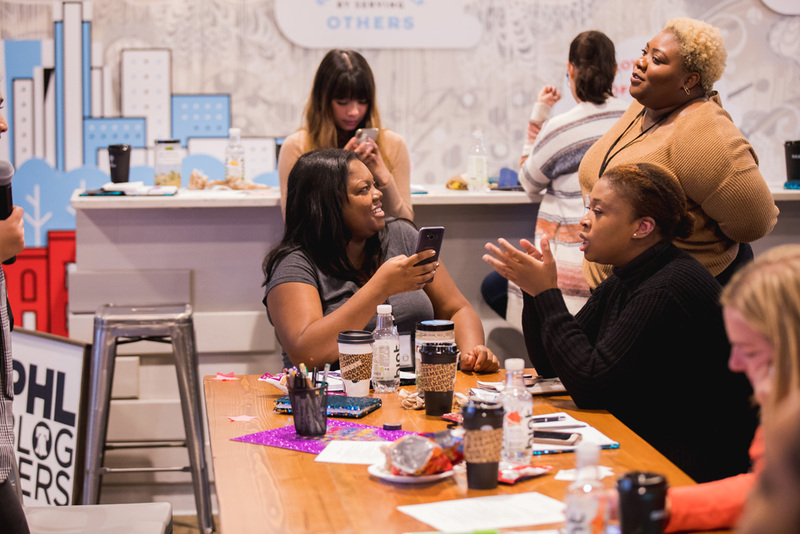 In 2018, in addition to The Blog Connect Conference, the PHLbloggers team hosted an event called Social Media Saturday. 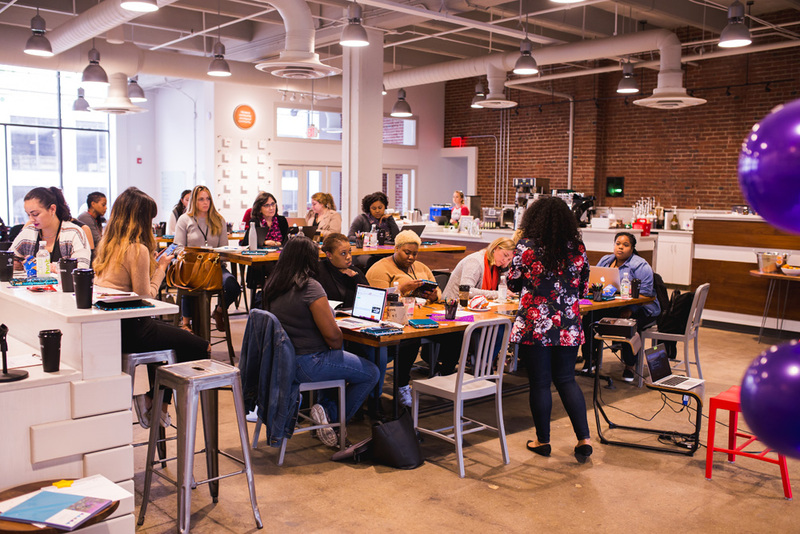 This full-day workshop at the Saxbys Headquarters focused on teaching bloggers tips and tricks with Pinterest, Twitter, and Instagram. The event kicked off at 10:00am with a blast and an icebreaker game. 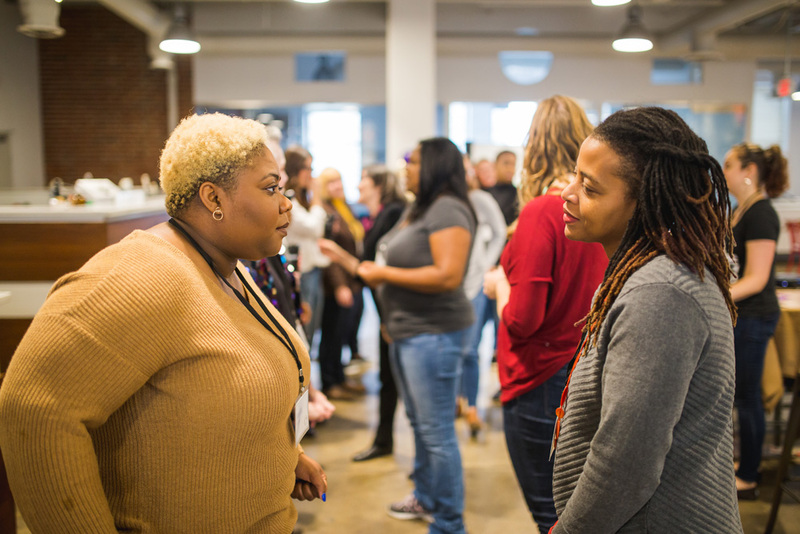 Attendees speed-networked with each other, prompted with questions about their blogs. For example: if you had an extra $5,000 to spend to build your blog, how would you spend it? Our first speaker of the day was Mallory Whitfield from Miss Malaprop. She is a podcast host, speaker, teacher, blogger, marketing strategiest, visual artist, and so much more. She is passionate about creativity, innovation, education, and using critical thinking skills. Mallory also teaches an online course called The Power of Pinterest. Mallory spoke about how to use Pinterest to drive massive traffic & revenue to your blog, based on her own experience integrating blog posts with Amazon Affiliate links and promoting those posts using Pinterest. We talked about SEO for Pinterest and learned how to create blog content and graphics that are optimized for maximum Pinterest performance. Our second speaker of the day was Laiza Santos (pronounced Lay-sa). Laiza is a bilingual social media content creator and storyteller. She is currently the Deputy Digital Director for the Pennsylvania Governor and is a creative team member and the head of social media for the Philadelphia Latino Film Festival. Her favorite social media channel is Twitter. Laiza showed attendees how to get the most out of Twitter analytics and how you can use the data, not only from your own followers, to create content people like to engage with around the world. 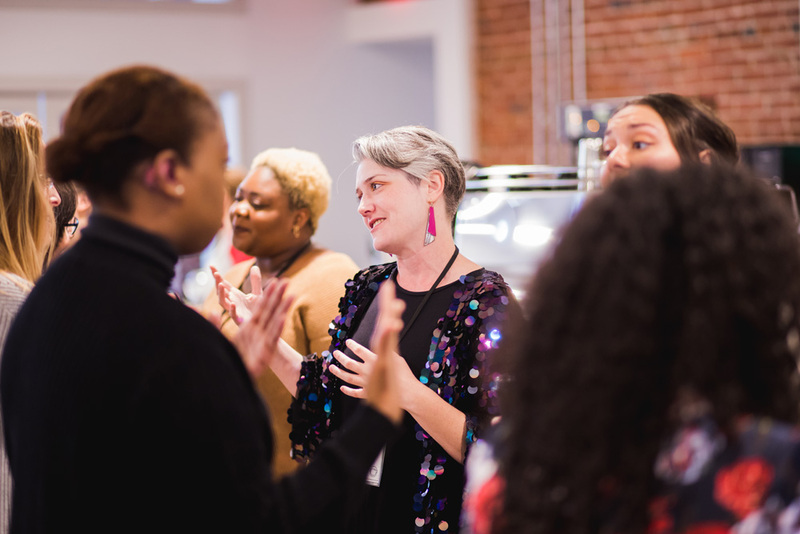 Attendees learned ways to maximize the platform, how to connect with your audience on a different level, and what makes this platform the go-to spot for the latest so you can be a part of the conversation. 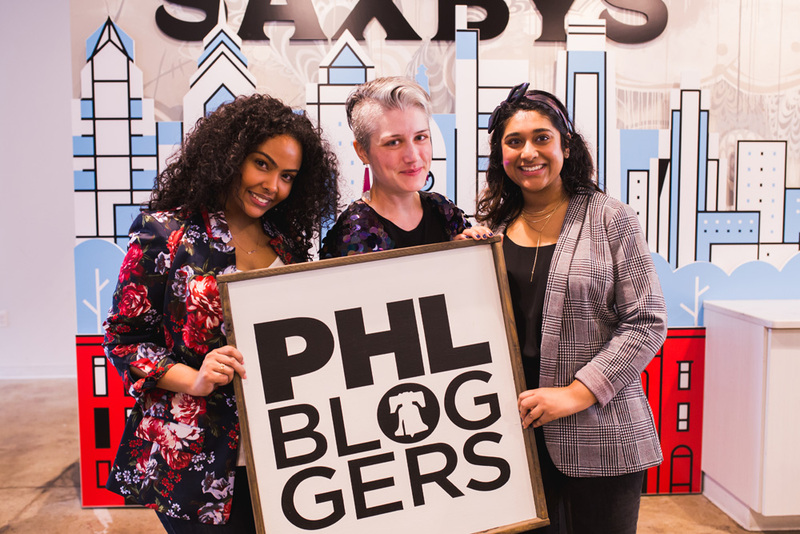 Our final speaker of the day was Priyanka Setty from Paint the Town Chic, a Philadelphia-based fashion and lifestyle blog. She is a Marketing & Events Coordinator by day and blogger by night. In addition to her own blog, Priyanka works as a Social Media Specialist at Universal Health Services, and previously worked at Seed Phytonutrients managing its Instagram. Priyanka spoke about how to curate a feed that you’re proud of, tips to implement daily engagement, how to collaborate with brands and in turn, grow your Instagram following using her experience as an Instagram manager for multiple accounts - both commercial and personal. After her session, Priyanka led the group into a workshop to help everyone gather their thoughts from a day of educational tips and tricks. Yet again, we had some incredible sponsors for our day keeping us caffeinated, nourished, and bubbly. 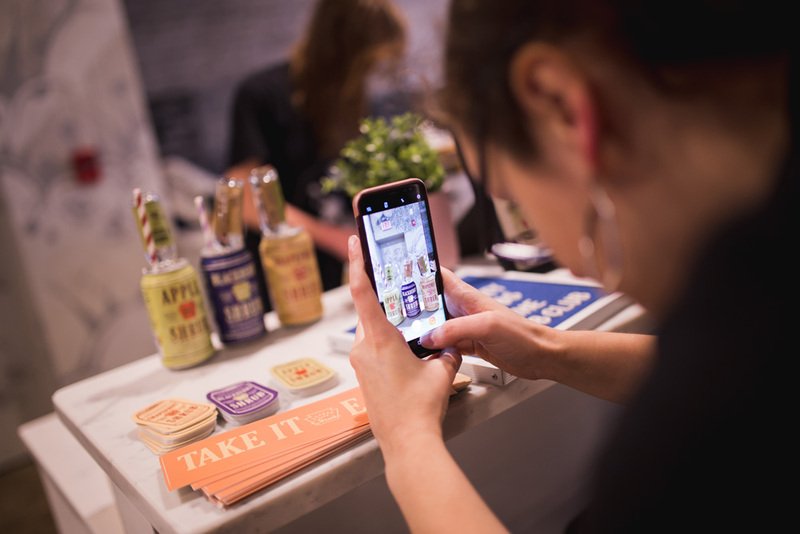 Saxbys not only provided the venue, but also gave each attendee a reusable coffee mug. 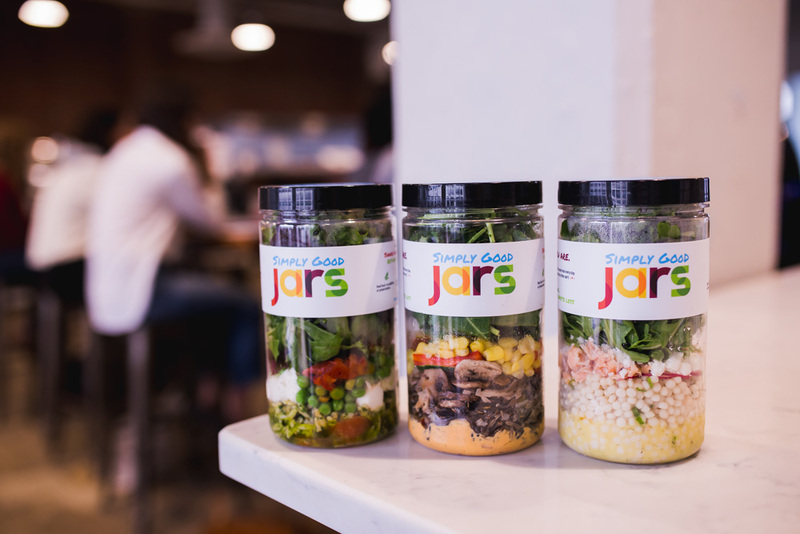 Simply Good Jars provided delicious (and filling) salads for lunch. You can check out their salad amazingness in Reading Terminal Market. QC Shrub popped by for happy hour to provide our attendees with fancy beverages to close out our day - and provide some amunition to workshop each blogger’s social media plans forward. Who is your actual reader, who is your ideal reader? Are you being consistent across your social media accounts with your writing style, photo editing style, and posting schedule? What are other people doing that you find successful? What goals do you want to achieve in the next week? month? year? How are you going to achieve those goals? All photos above were taken by the amazing Tim Becker Photo. Thanks, Tim! We appreciate you!